A superb bluegrass outfit in a classic vein but withmore than enough modern sensibilities to attract every ear in town. 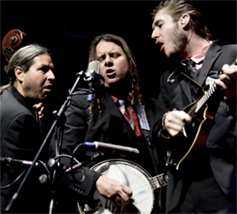 The vocals are spotless, the playing as shiny as a newly minted penny, and music like this is the reason people come to love bluegrass… Special Consensus approaches this hallowed American musical form with boundless energy and an aesthetic reverence that tickles the ribs, tugs at the heart, and puts a restless two-step in boots and bare feet. Whether it's in the studio or on stage, Chris Jones & The Night Drivers are making some of the most distinctively elegant yet driving music to be heard anywhere today, and they're delivering it with a unique blend of dry wit, emotional authenticity and broad humor that's won the loyalty of a growing number of fans across the country, from Merlefest in North Carolina to California's Huck Finn Jubilee, and around the world. Steve Martin referred to the Night Drivers as ". . . some of the best players in bluegrass! Chris Jones' voice is there with the great masters.". 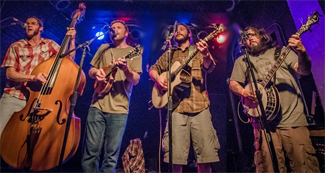 The Grateful String Band puts an bluegrass spin on the music of the Grateful Dead! Anything related is fair game too. Peter Rowan, Tony Rice, David Grisman, Old & In The Way, and of course, Bill Monroe!. Chicagoland string band playing bluegrass, newgrass, and old-time music. We play bluegrass, drink whiskey and beer, and talk deep ecology. The River Valley Rangers (RVR) are a group of strapping young lads hailing from the Chicagoland region. We enjoy cornbread, long walks in the woods, craft brews, and and of course, bluegrass! An acoustic Bluegrass / Roots / Americana band based in McHenry, IL. 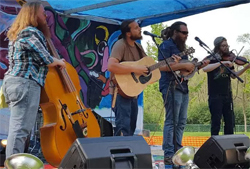 Their musical styles range from bluegrass, reggae, to punk, and beyond, all delivered in a "not-so-traditional" bluegrass voice. 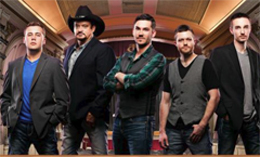 Their live shows are high energy, centered around their arsenal of original material and refreshing variety of cover songs interpreted in their own way. Have you been missing that truly high lonesome sound? 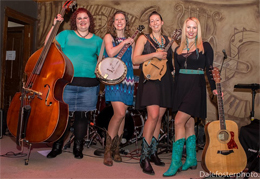 The ladies of Fox Crossing Stringband bring all those high harmonies plus driving rhythm of dobro, fiddle, mandolin, banjo, guitar and bass. 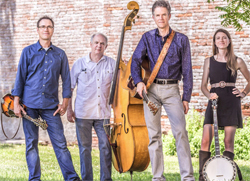 Six instruments across four vocalists will leave you chasing these foxes for their new bluegrass sound. ​ Georgia Rae Family Band has always pushed the envelope of traditional music. 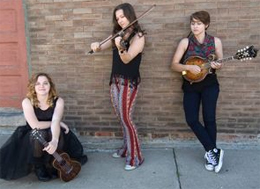 Their progressive sound inspired by a mix of Americana, contemporary folk and roots, and a little jazzy swing, all flavored with family harmony and youthful energy. Their original songs are clever and catchy. Fiddle champion Georgia Rae, lead singer/uke Kelly Jo, Quin on mandolin and banjo are joined by a solid driving rhythm "punk rockin' momma" on guitar and Joe Burie on bass. .